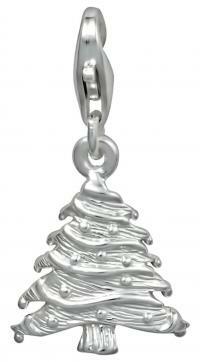 Sterling silver holiday charms are available for nearly any holiday, though Christmas charms are the most common. Some, such as snowflakes or hearts, can even be worn long before or after the holiday. Whether brightly enameled, set with stones, or pure metal, charms are versatile and playful and can make any outfit festive. Of course, the most traditional way of wearing a charm is a charm bracelet, but you can also display your charms on charm holders or earrings. You can add your sterling silver holiday charms to a chain link necklace to coordinate with your charm bracelet. If you want to add just a few to your look, dangle charms from earrings or add a few to a charm holder pendant. If you have a tabletop tree to decorate for the holidays, you can put your charms to work as ornaments, too, by attaching them to the tree with a bit of silver-colored thread or wire. You can buy charms on eBay and other auction sites, many department stores, and many chain jewelry shops. Most sterling silver holiday charms cost between eight and fifteen dollars, with the price varying most based on how much the charm weighs. 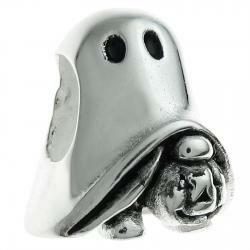 There are also a number of online stores with an extensive selection of sterling silver holiday charms. Don't limit yourself to just the pieces that are marketed for the holidays. For example, some jewelers sell their religious charms in separate collections, or you can find dual purpose charms such as rabbits for Easter and other spring holidays or nature themes such as wheat sheaves or fruit for Kwanzaa. In fact, you don't even need to limit yourself to the standard holidays. Sterling silver charms are affordable enough that you can celebrate National Cotton Candy Day on December 7, International Migratory Bird Day, or National Library Week. 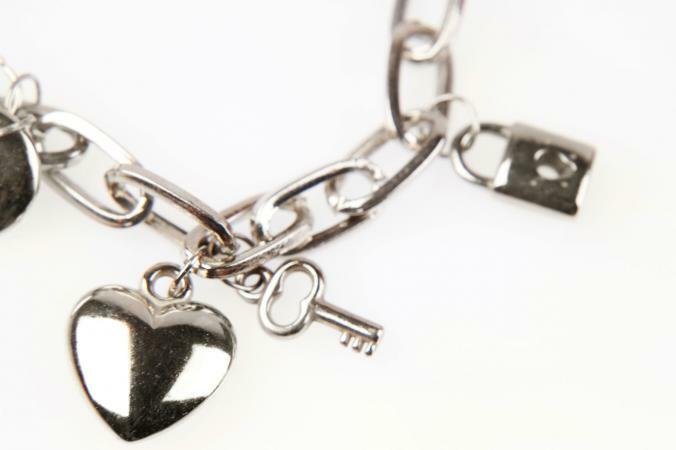 Sterling silver jewelry does tarnish, and while some charms are available with a protective coating, these do wear off. The best way to take care of tarnish is to prevent it by storing your silver jewelry in bags that absorb the sulfur that creates tarnish. You can get these at many jewelry shops or online jewelry stores. However, if a piece becomes tarnished, there are many different ways to remove tarnish from your sterling silver holiday charms. Check the label of any cleaner to be sure that your cleaner is effective for sterling silver and, if your charm has mother of pearl, amber, turquoise, or other fragile stones, that it's safe for them. Polishing cloths. Sometimes tarnish actually creates attractive accents in the depths of an intricate charm and using a polishing cloth lets you polish more or less vigorously on different surfaces. The disadvantage to polishing cloths is that if there are deeper areas where you don't want tarnish, you have to work harder to get it out. Pastes and foams. This takes a bit more labor and is a bit messier, but gets into all the nooks and crannies. Some actually leave the surface with additional protection against tarnishing. However, they can damage porous stones or ones sensitive to chemicals, so be careful not to coat pieces with these stones. Steam, ultrasonic, and polishing dips. These clean the entire piece and this method takes the least work. However, these can be dangerous for certain stones and for pearls or amber. Check to be sure that any polishing dips you use are environmentally safe, as there are a few on the market that contain toxic compounds. Since these are neither cheaper nor more effective, there's no reason to use them over the environmentally friendly alternatives.